Engines tests for best oils performance. Large number of engine tests are currently used to qualify oils for specific categories of classification. This number continues to expand as new or additional engine and oil characteristics are needed to meet not only the requirements of the engines, but also cover environmental aspects. Most of the standardized tests are designed to evaluate oils intended for automotive and various vehicles type engines. Considerable effort has been devoted to standardizing the tests in the United States, Europe, Japan, and other parts of Asia. The API went from an Engine Service Classification System to an Engine Oil Licensing and Classification System in 1994. Given that the purpose of oil specifications is to prevent in-use performance issues, the historical absence of any major issues with oil when it is used as specified is a strong indicator of the strength of the current specification development system. In addition to API Services categories, the International Lubricant Standardization and Approval Committee (ILSAC), in conjunction with automobile manufacturers, created the gasoline fueled (GF) series and the proposed changes (PC) series. There are two new engine oil specifications being developed: PC-11 for heavy-duty diesel engines and GF-6 for passenger automobiles. For each of these specifications, it is very possible there will be two versions: one for current and future engines and another for compatibility with older engines. There is always a need to develop new tests to evaluate lubricant performance in emerging platforms where engine hardware design changes are being dictated by the need to improve fuel efficiency and reduce emissions in order to meet environmental regulations. The ASTM has published the “Multicylinder Engine Test Sequences for Evaluation of Automotive Engine Oils” (Sequences III, IV, V, and VI) in Special Technical Publication (STP) 315 and the “Single Cylinder Engine Tests for Evaluating Crankcase Oils” (Sequence VIII, 1-N, 1-K, and 1-P) in STP509. In addition, the major diesel engine manufacturers have developed engine tests that are now part of the API Classification System. These tests were initially developed for qualifying oils for their specific engines. Examples are the Mack EO-L, EO-L Plus, and EO-M using the Mack T-8, T-11, and T-12 engine tests. Cummins Diesel uses the ISB, ISM, and the M-11 tests. All of these engine tests are very high in costs to develop and run. This adds significant costs to engine oil development and testing. The ability to extend drain intervals is also very important to OEM builders, because of the pressure from users to reduce costs associated with maintenance and also conserve nonrenewable resources. Extended drain capability is perceived by users to mean higher quality engines and oils. LUBRITA engine oils follow latest technologies to meet and cover latest requirements. 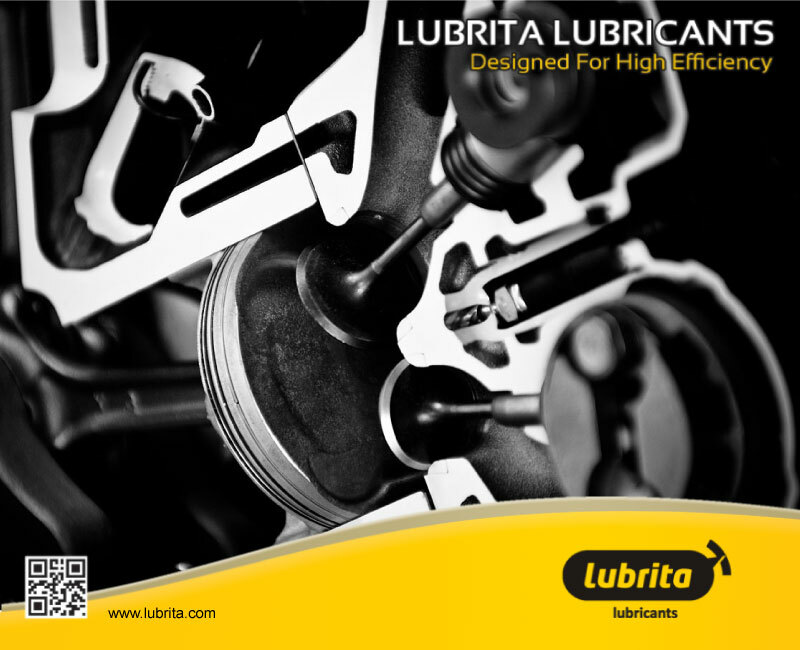 LUBRITA engine - motor oils designed for High Efficiency!